"Gran Canaria is a versatile island, which has something for everyone, including great shopping outlets, nightlife and stunning beaches to sink your feet into..."
A stunning island holiday destination, combining gorgeous golden beaches with foreboding inland mountain passes to create the ideal beach holiday. The scenery is to die for too; boasting the most diverse landscape of the archipelago, you’ll find everything from subtropical forests and lush green mountains to golden dunes and white sand coves. 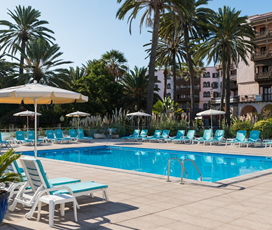 The coastal parts of the island are built-up and have excellent tourist facilities, with Las Palmas, Maspalomas and Playa del Ingles, all renowned for their exceptional beaches and lively nightlife. They call Gran Canaria the “Continent in Miniature” because it has a little bit of everything. 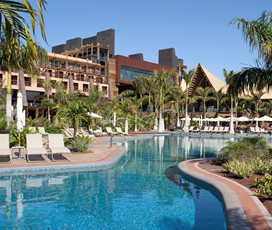 So if you’re looking for the perfect family destination with plenty of variety, Gran Canaria is the ultimate place to be – for shopping, for nature hikes, for top nightlife or just relaxing on a pretty beach. Located in the Canary Islands off the northwest coast of Africa, it is famous for its jet-black volcanic beaches, which contrast beautifully with the white sand ones that are also on the island. Its interior is more rural and mountainous, making it ideal for nature lovers who want to get out and explore. The capital, Las Palmas is located in the north of the island and is famous for its many resorts and as a stop off for cruise ships. The island is fairly populous with around 850,000 people residing there. 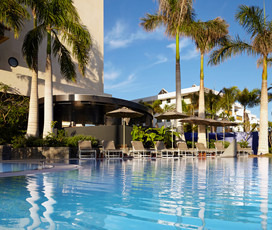 Gran Canaria is blessed with a hot yearlong climate, which means that it can be visited throughout the year. Temperatures average above 20 degrees between April and October, making it ideal for a summer holiday, with August being the hottest month when temperatures average 24 degrees. The coldest month is January when temperatures average, 18-degrees, demonstrating just how good it is as a holiday destination. Gran Canaria was most likely inhabited by the North African Berbers around 500 BC, although this is only a guess as the island’s early history is not especially well documented. It became isolated from the European mainland after the fall of the Roman Empire, until it was rediscovered by Spanish Conquistadors in the late 15th century. The islanders fought fiercely against Spanish occupation and it was not completed until 1483, much later than many of the other Canary Islands. It quickly became the administrative capital of the Canaries and played host to many intuitions of the Spanish Crown. As travel became more common in the 20th century, it quickly developed a thriving tourist industry, which remains the island’s main source of income until this day. With an incredibly rich local cuisine that has been influenced by Spanish food and the many Latin American immigrants that have come to the country, visitors will find a variety of different dishes from around the world, with Venezuelan and Peruvian food especially common. Local specialities include dishes, such as: Conejo en Salmorejo, a rabbit dish marinated in red wine; Mojo Picon, a spicy pepper sauce that is often eaten on fish; Papas Arrugadas, which are potatoes cooked in seawater; Sancocho, a soup flavoured with fish; and bocadillos, baguettes laden with fish, meat or vegetables. An ideal and great place to go on holiday with children, there is a plethora of different things for the younger members of the family to enjoy on their family holiday. 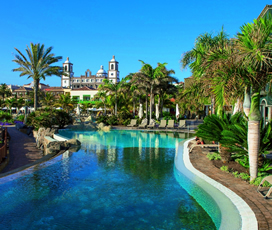 Palmitos Park, is a short drive from Maspalomas and combines stunning natural scenery with a host of different animal species, including exotic birds and friendly dolphins. 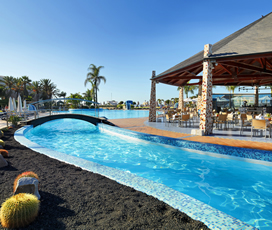 Aqualand is an excellent waterpark that is situated just outside of Maspalomas and provides aquatic fun for people of all ages. There are also an incredible 82 beaches on the island, making it ideal for families who want to relax in the hot summer sun, the best of which can be found in Masopalomas and Playa del Ingles. Finally, families looking for something a little different could visit the Sioux City Park, which holds a variety of Wild West shows throughout the day, which are bound to keep children entertained. No trip to Gran Canaria would be complete without a visit to one of the 82 stunning beaches that populate its coastline, with the sand dune speckled beaches that surround Maspalomas and the flatter expanse of sand close to Playa de Ingles considered to be especially good. The majority of them offer the chance for visitors to do watersports such as jet-skiing or snorkelling and they are ideal for those who want to have some fun in the hot summer sun. Wildlife enthusiasts could take a boat ride out into the Atlantic, where, if you are lucky you will find playful dolphins and majestic whales. While there is also horse riding, camel riding and hiking available as well. The island is one of the most popular destinations for nightlife in the entire of Europe and many young people come from around the world to enjoy its buzzing scene. The main action is focussed around the capital Las Palmas and the tourist resorts on the south of the island, including Playa Del Ingles and Maspalomas e Puerto Rico. The island is also very LGBT friendly and there are a plethora of specialist LGBT clubs and pubs in the major resorts. The most popular night-time activities include beach parties, which last from dusk until dawn and boat parties, where visitors go out to sea and enjoy a wild party, with unlimited drinks. 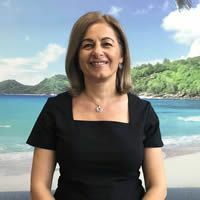 Shopping on the island is excellent because it offers significantly cheaper prices than many places on mainland Europe, thanks to its duty-free offerings. The best shopping is found in shopping centres with a myriad of different ones on the island, including: Centro Comercial Atlántico, which is located in Vecindario, a town that is close to the airport; and Las Arenas and Siete Palmas, which are both located in the capital and have a plethora of excellent shops. The island is also great for open air markets with a regular one selling local products in the capital and various other ones in the tourist areas around the country. Head to the village of San Bartolomé de Tirajana if you’re interested in nature walks and hiking trails. Gran Canaria’s capital is bursting with life and has everything from lively beaches and shopping streets to fantastic nightlife. This stunning tourist town is located in the south of the island and is best known for its beautiful beaches. The beach front also features a great promenade with restaurants and coffee shops. This northern town is a traditional area, home to various sightseeing attractions. Don’t miss the Church of the Sacred Heart, Chapel Ermita de la Peña, the Fuente Agria and the Natural Park of Doramas. Playa del Ingles translates as “Englishman’s Beach” and is perhaps the most popular resort area for tourists. It features a long stretch of golden sand and a promenade with shops and restaurants.